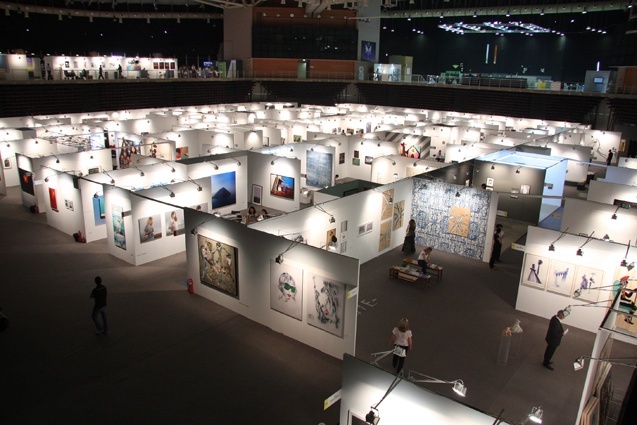 Launched in 1993 by the Hellenic Art Galleries Association, ART-ATHINA stands today as one of the longest-lasting contemporary art fairs in Europe. ART-ATHINA is the largest annual visual arts event in Greece attracting 16,000 visitors. The fair is located at the shorefront of Athens, in Faliro Pavilion –a former Olympic Games venue– providing an ideal meeting ground and an intriguing business opportunity for artists, representatives of galleries and museums / cultural institutions, collectors and curators. Since 2009, ART-ATHINA has organised reciprocal patrons’ programmes with ART DUBAI & ART ROTTERDAM.